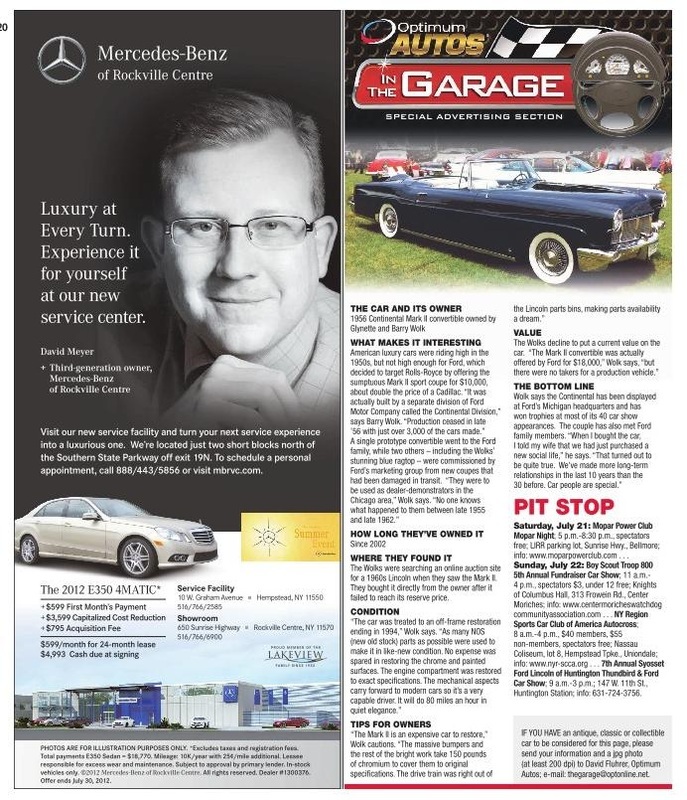 Since 2008, David R. Fluhrer has been one of the nation's premier classic and collectible auto columnists through his weekly "In the Garage" column for Newsday, the New York newspaper with over 700,000 daily print readers and more than three million unique visitors to newsday.com. He has published more than 400 columns to date. Since 2014, he has been chief executive of Driveway Media LLC, publisher of the automotive website, In the Driveway. In 2015, he was retained by one of the New York area's premier automotive restoration companies to help expand its businesses through a concerted social media marketing program. He also became the automotive columnist for Luxury Living magazine in early 2016, focusing on a wide range of luxury classic and new vehicles for his high-net-worth readership. He continued as the automotive columnist as the magazine was transformed into Long Island Living in 2018, reaching over 100,000 households with an average annual income of $215,000. Take a look at examples of his content here. Fluhrer's passion for automobiles began around age three when he sped out of a Long Island bicycle shop in his very own “Kidillac” pedal car. Even before he learned to read, he could identify a wide range of makes and models on the road. While he hoped to work for an auto company, Fluhrer took his career in a different direction as a New York daily newspaper reporter and later as a senior corporate communications executive and consultant for a host of different industries. Yet he’s kept in touch with his passion by owning a succession of interesting cars, from a ’29 Model A Ford roadster to a brace of German convertibles. for his column at thegarage@optonline.net or visit with him at his personal “In the Driveway” Facebook page. 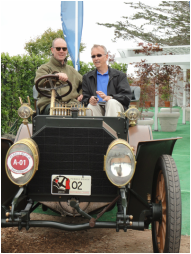 Fluhrer is a member of the International Motor Press Association, the Porsche Club of America and the fabled Madison Avenue Sports Car Driving and Chowder Society, and has served as a New York International Auto Show guide for LeMay - America's Car Museum in Tacoma, Washington. Contact him today for a no-cost consultation. This site is owned by David R. Fluhrer and is used solely to provide visitors with information on his professional qualifications. It is not affiliated with any of Mr. Fluhrer's current or past clients or employers, or with any professional organizations or publications. Links to other sites are provided for informational purposes only. All materials on this site, unless otherwise indicated, are copyrighted by Mr. Fluhrer and may not be reproduced in any medium without his express written permission.